The Duggar family has expanded once again! 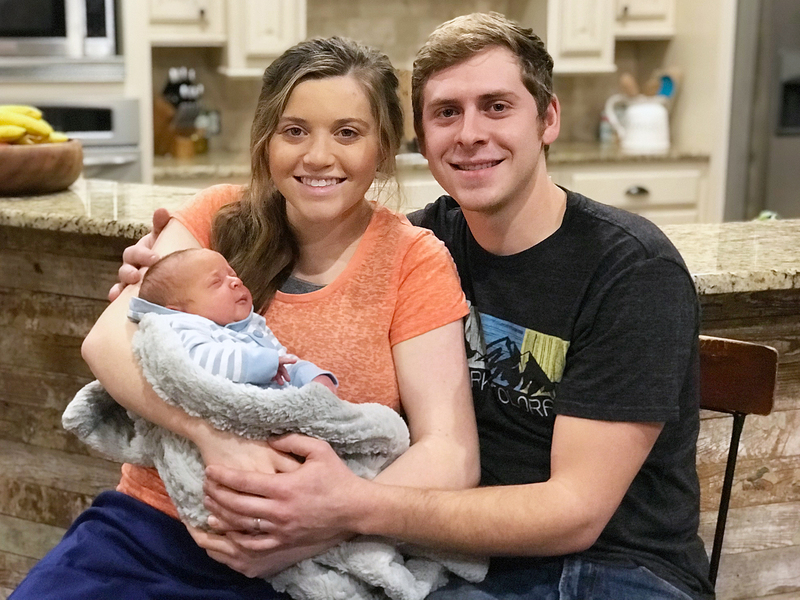 Joy-Anna Duggar and husband Austin Forsyth welcomed their first child, a baby boy, on Friday, February 23. Gideon Martyn Forsyth weighed 10 pounds, 3 ounces, the Duggar family announced on their blog on Monday, February 26. Duggar Family Snapchat: The Reality Family On Social Media! The pair also spoke about their pregnancy in a TLC video, with the mother-to-be revealing they had always talked about having kids. “Before we even were married, we were praying that God would give us kids, and we’re so thankful that he has,” she said. The pair got married in Rogers, Arkansas, in May 2017 then headed on a romantic honeymoon in Switzerland. The birth announcement came just at the right time! Counting On returns to TLC Monday, February 26 at 9 p.m. ET.